Previous Article Where To? The Beach, Of Course! Next Article I Didn’t Expect To See THAT! P-town looks charming. I can see why you’re enrapt. 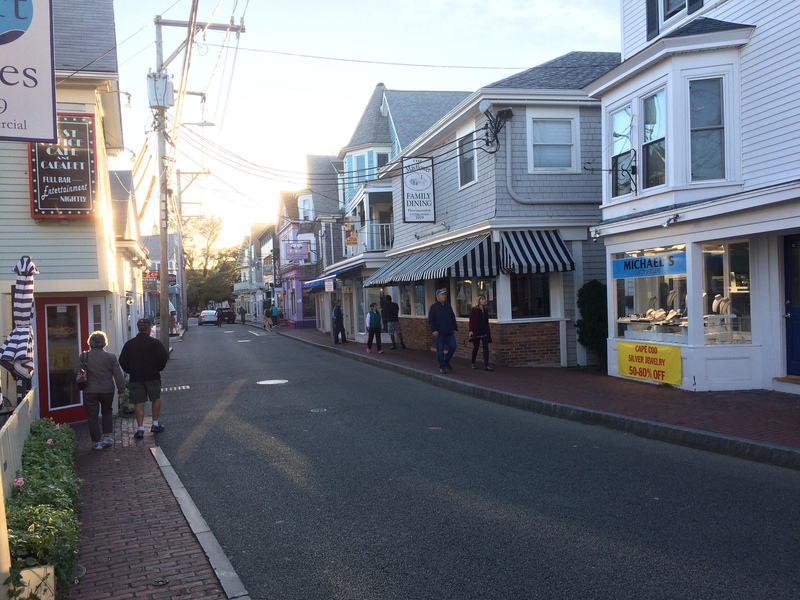 Yes, Provincetown is a good place to get “lost” in. 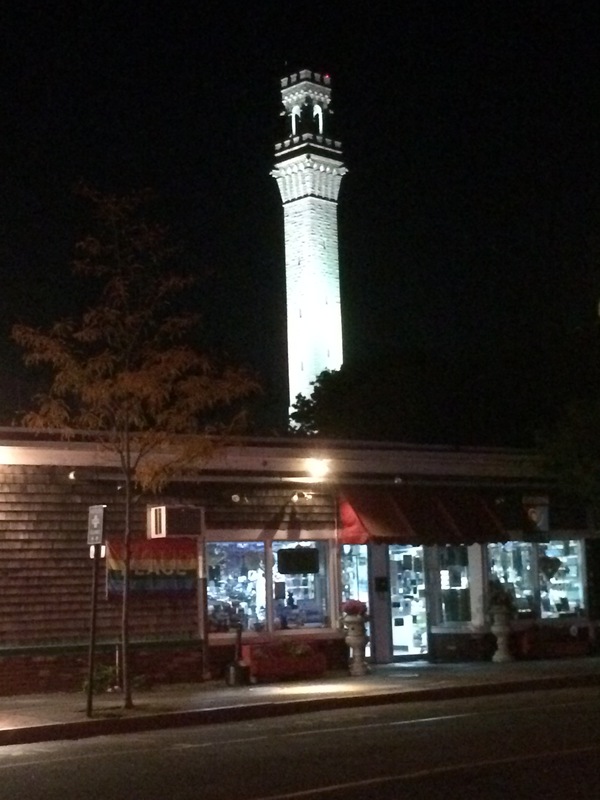 A nice and well-told and informative tale of admiration for Provincetown. I am curious now to find out more. If you do any googling, look up some info about the dune shacks. They are outside the village in the sands/dunes area. People live in them. We’ve stayed here a couple of times at the other end of the season – March / April – when it was also quiet(er). I agree, a magical place. 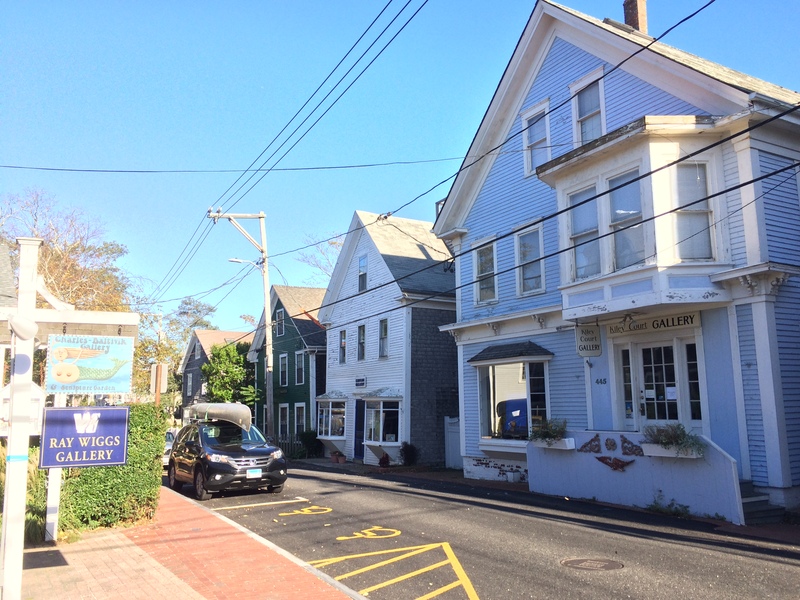 Provincetown is pretty unique — not only is it a beautiful village, it also has an amazing lunar-like dunes area. I always enjoy your Cape stories. Ptown is always a fun spot! P-Town is a good place to be in, for sure. As a recent follower, I have not yet burned out on your Cape Cod saga, so quite enjoyed this little trip through P-town. 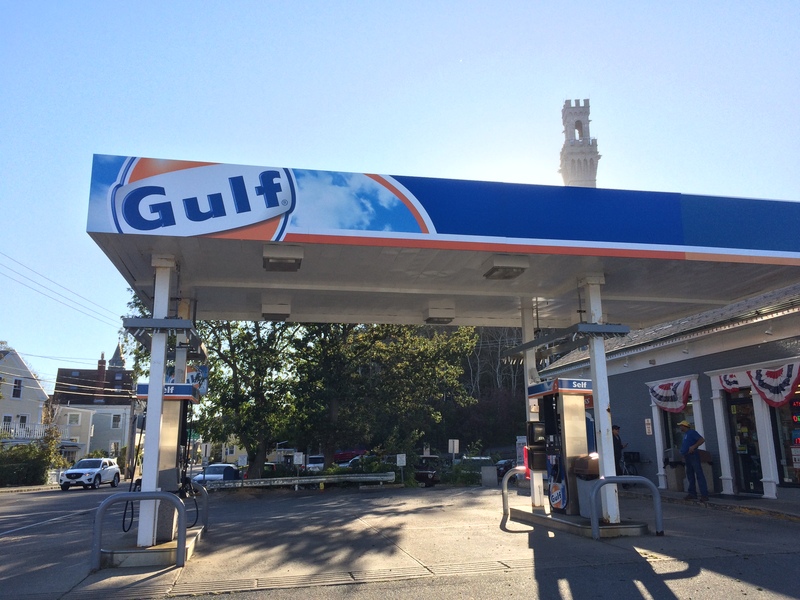 Have you ventured as far north in your travels as Gloucester/Rockport, MA? As is true of the Cape, they are better/easier in the off-season. Nothing like fresh lobster on a warm September afternoon. I am also quite intrigued by the idea of a Hallmark “What The Hell Is Wrong With You?” card, and feel quite definite that no one deserves it more than The Rump. Hello there. I haven’t been to the area you mention. I need to expand my horizons! What a gorgeous town that has not been spoilt by development. 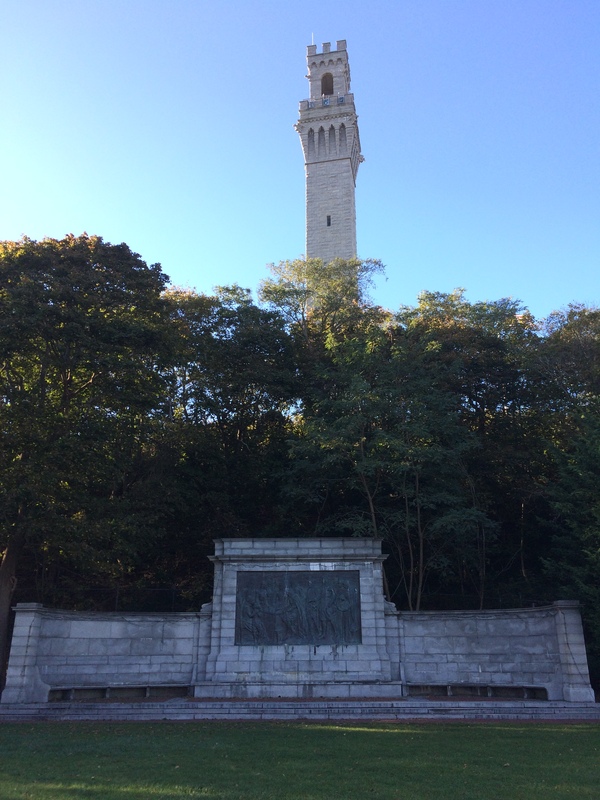 The monument is very dramatic and does look like the tower in Siena. It is beautiful. Thank you for sharing your thoughts and photos of such a fascinating place. I suppose that Provincetown (the village, the huge area of dunes, the beaches et al) is my fave location on Cape Cod. I’ve never been to Provincetown, or anywhere else in Cape Cod, but I’d love to go some day! And it sounds as if the Fall is the best time? Also, I’m glad to know I’m not the only one who occasionally depends on a little help from the blogging Gods. They steered you right on this post. Either fall or spring is when to go. Too many vacationers in summer. And it’s too cold in winter. Enjoyed the amble, meandering stroll. Perfect way for CB to spend some time. A little jealous. CB — you and the Cape would be a perfect fit! It sounds and looks like an idyllic setting and settlement. I can completely relate to your attraction to Provincetown, even though I have not visited yet. 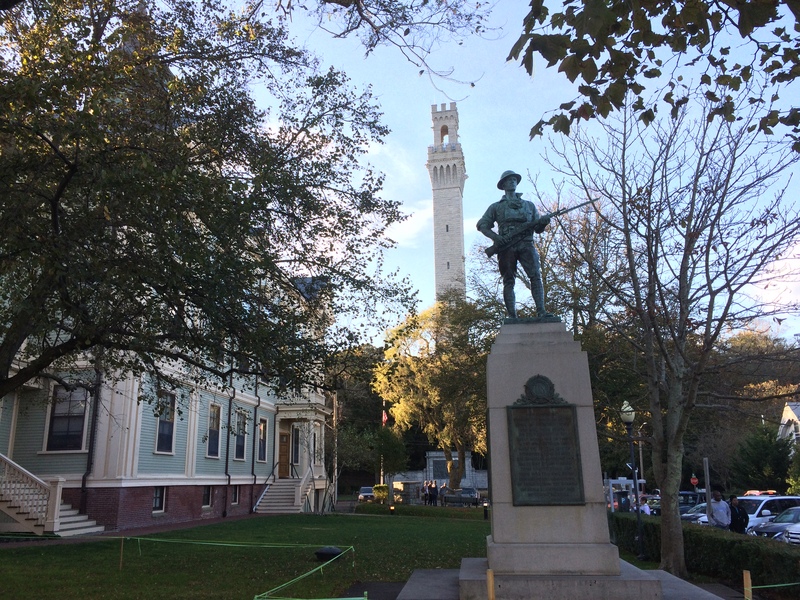 Provincetown and the rest of Cape Cod awaits your visit! Your opener about the Hallmark card made me laugh out loud – I must have a look for one of those… great piece Neil. This kind of lightly humorous but informative writing’s one of the trickiest styles to do. I should know, I try often enough myself with mixed results! One of Trump’s many annoying traits is that though he knows that hordes of people can’t stand him, he doesn’t care! …which unfortunately is part of his appeal to some! As a relative newcomer to these parts all very interesting – What a great idea to visit in Autumn however as with hordes of visitors it would lose its charm. Love how you panic if an angle for a story doesn’t emerge in the course of the week! I know that feeling but with subject matter like this, it didn’t take you long. If you ever visit Cape Cod, I’m pretty sure you’ll have a better time there in spring or fall rather than summer or winter. Thanks for stopping by, and have a good weekend. From your photographs,I can understand why you are so fond of the monument.I’m sure I’d like it as much. 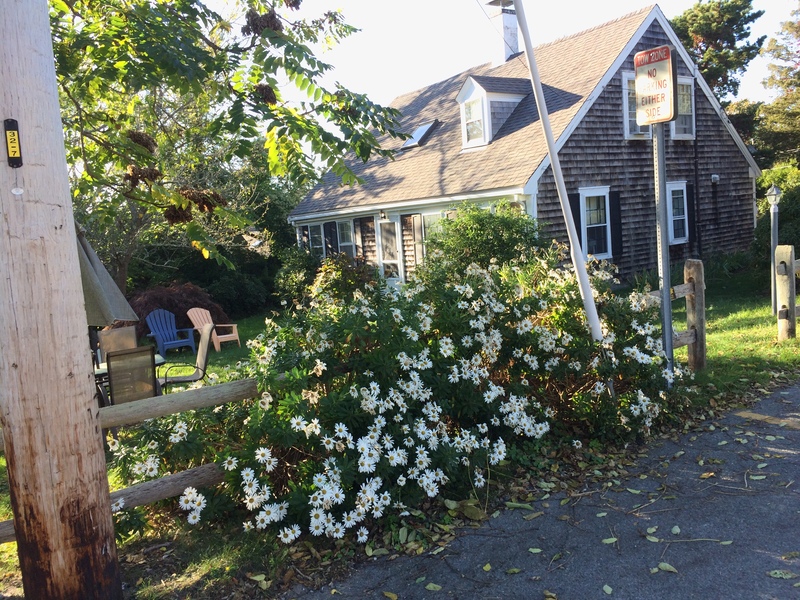 How did the two of you discover Cape Cod in the fall and adopt it? What a glorious thing you did for yourselves. It’s nice to have a soul-placing site to return to. This was my favorite line: “I’m a fan of the whimsical…” My mother imbued me with that same condition. No matter where we went, she pointed our things others might consider odd an explained why she found them whimsical. We’ve gone mainly in spring or fall. Both are a-ok. Beaches, restaurants etc. aren’t too crowded in those seasons. Thanks a lot for dropping by, Janet. Much appreciated. Enjoy the rest of the weekend. 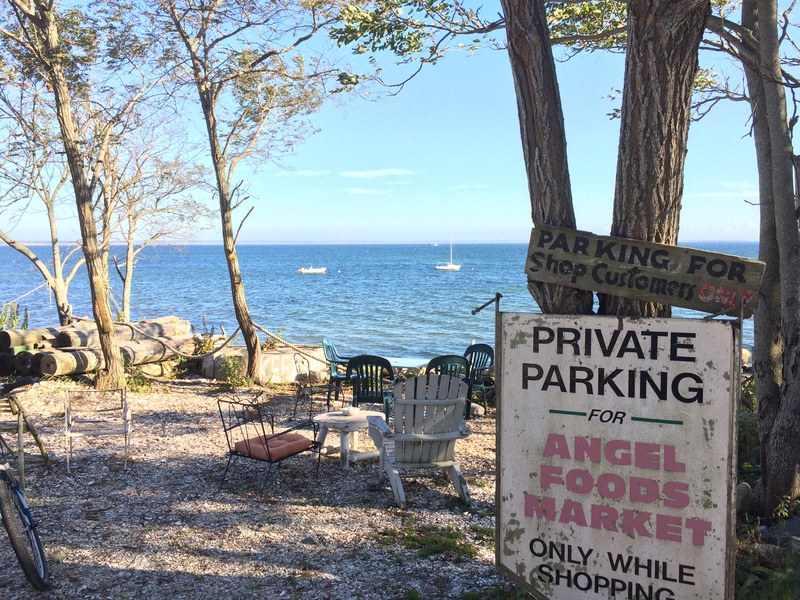 You had me with your blog about Cape Cod—now, I REALLY want to go there! But just a minute, haven’t you heard greeting cards (Hallmark or otherwise) are on their way out? You’ll have to send the Trump an e-card (cheaper, too)! Hi Diane. I didn’t know that card sales are down. Stands to reason, though. Anyway, I’m positive that you would love Cape Cod. It’s got a lot going for it. Thanks, Neil. Yet another bucket list destination! Aside from the Pilgrim landing, I associate P-Town with the ’60s garage band The Barbarians (and their hook-handed drummer, Moulty). Last I heard, Moulty’s still there! I’ll have to do some googling in re Moulty. I don’t recall ever hearing about him before. I loved this little amble through P-town. 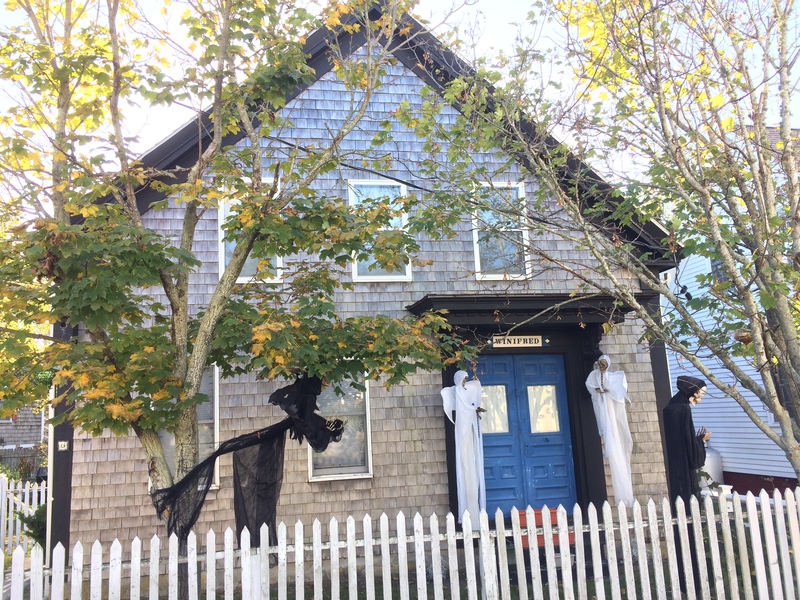 As I’m unlikely to ever get to Cape Cod, I’m happy to visit it vicariously with you and Sandy (especially in the autumn – I hate those summer crowds!). 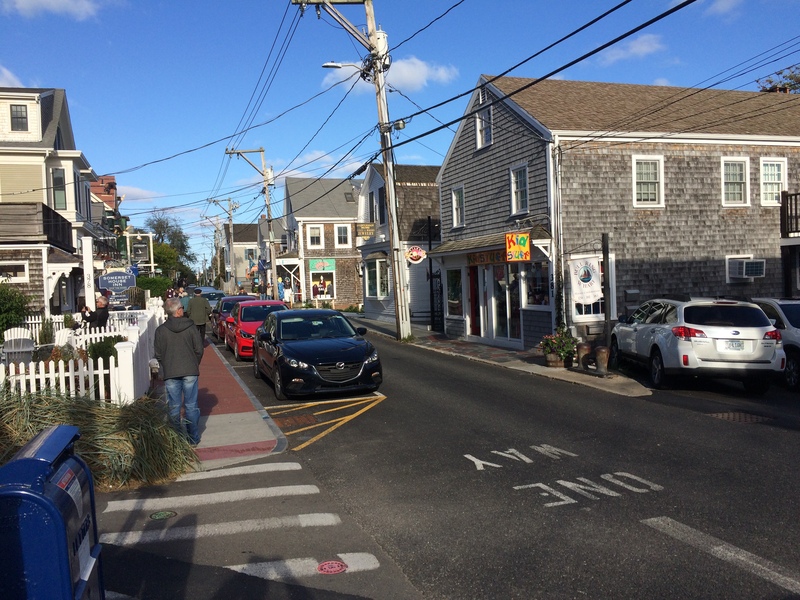 From what I hear, the roads on Cape Cod get ridiculously clogged with vehicles in the summer. I’ll take spring or autumn instead! Thanks for stopping by. I’ll be seeing you . . . Speaking of lobster, I’ve become a big fan of lobster salad rolls. They’re a lot easier to deal with than whole lobsters! Well, I’m with you, whether small or large, w/wo salad, as long as it’s a Maine lobster with delicious butter sauce. Oh and if it is a whole lobster, it has to be manicured. Hate those ugly claws! Neil, what an enjoyable read! While I’ve been to only the cities in MA (like Boston or Springfield), I’ve not yet found an excuse to visit Cape Cod/Provincetown. I’m glad I’m not the only person who can find a piece of architecture as the main reason one enjoys a locale (as opposed to just beaches/beautiful water!) Did Sandy in fact take all of these incredible photos on your post? Or did you? The photos weave sooo well within your narrative. I hope to visit sometime and see for myself! You’d have a good time on Cape Cod. Well, your pics look fantastic!! I’m the same way now – really no need to drag a big camera around anymore since getting an iPhone! Great photos and share. The photo clarity is superb! I really feel and enjoy this tour share. i enjoyed the tour around another place I have never visited. Maybe sometime. And thanks for following my blog. Thanks for stopping by. I appreciate that. Another great Cape Cod piece, Neil. Many thanks, Dianne. It’s really good of you to say that.